If you are going to be involved in a real estate transaction, there is a good chance that you will deal with a selling agent and a listing agent. Both of these agents are similar but they do perform different duties. Here are the basics of the listing and selling agent and how they are different. 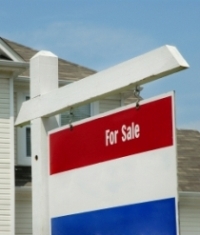 The listing agent is also sometimes referred to as the seller's agent. This is a real estate agent that is going to work exclusively with a seller. A seller will contact them and let them know that they want to sell their house. The listing agent will then set up a meeting with the seller. The listing agent will then evaluate the property and run a comparative market analysis on the home and will provide the seller with information. They will give the seller a ballpark range of their home's value. The listing agent and the seller will then come to an agreement as to how much to list the property for. The agent will then provide the seller with a contract to solidify the authority to represent the seller. At that point, the listing agent is going to begin marketing the property of the individual. Listing agents are typically very good at marketing and they tend to specialize in this area. They will use a variety of techniques and tools such as listing your property on the Multiple Listing Service. They will also conduct open houses in your property in order to allow people to see the house from the inside in an informal setting. The selling agent is also sometimes referred to as the buyer's agent. If you are in the market to purchase a new home, they can provide you with assistance in this area. You will talk to a buyers agent about representing you in this process. You will be able to tell them exactly what you want in a house and they will do their best to find it for you. If you find a property that you like, the buyers agent will then set up a showing for you. They will get in contact with the listing agent in order to find out information about the property and information about how to get in the property. If you like the property, they will take your offer to the listing agent. If the offer is accepted, they will then represent you in the closing process with the other real estate agent. Typically, when you work with both of these agents, they are going to split the real estate commission that is due on the property. For example, if the standard real estate commission is six percent, each of them is going to get three percent. If the listing agent lists the property and does not use a buyers agent to find a buyer, they are going to get to keep the entire six percent. It is important to stress that agents have a fiduciary duty to their buyer or seller. Agents cannot work against you and must put your needs above all others in order to work with you.